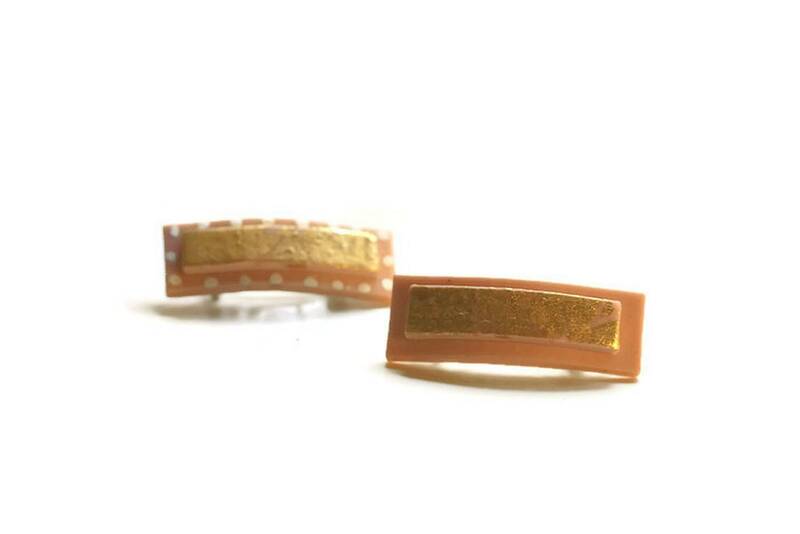 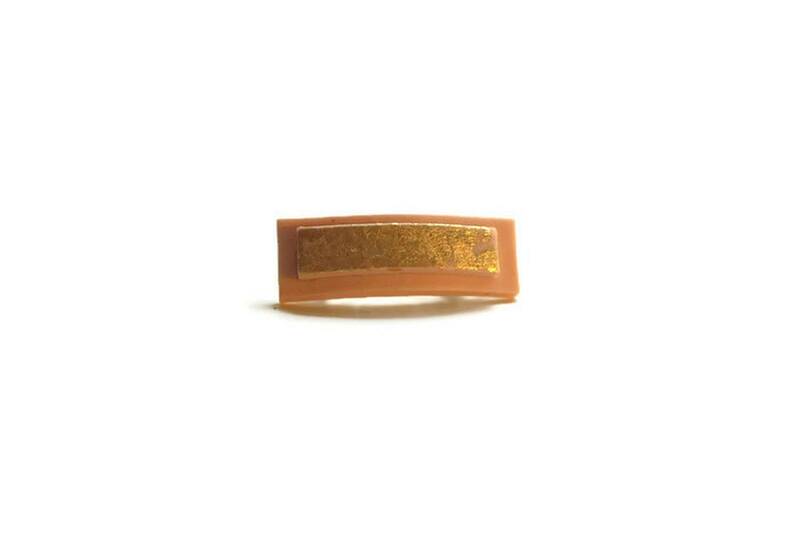 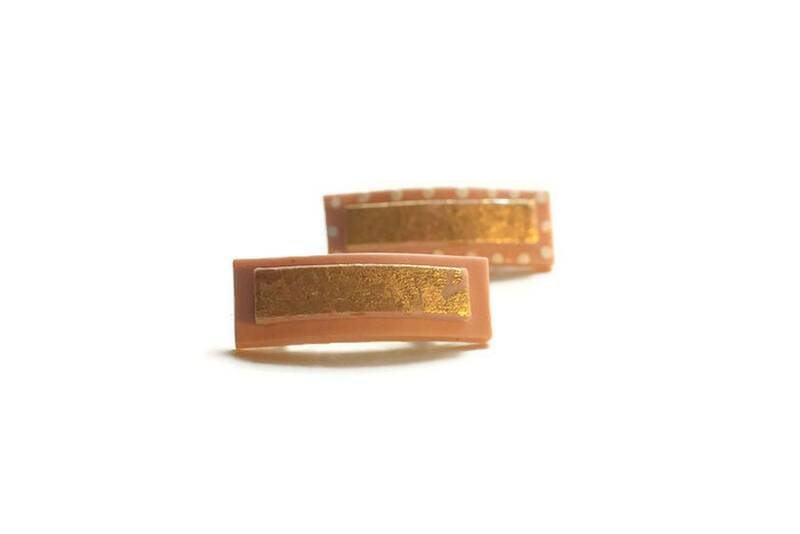 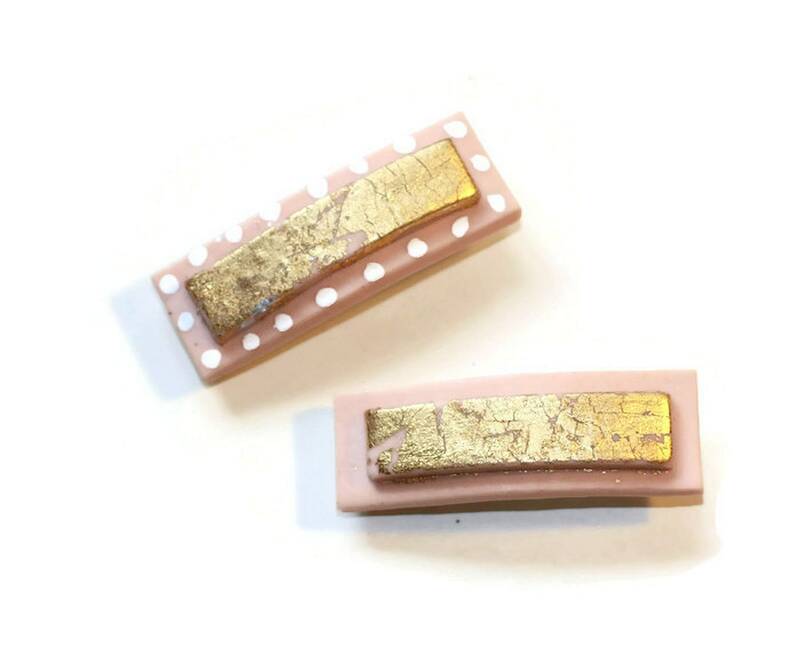 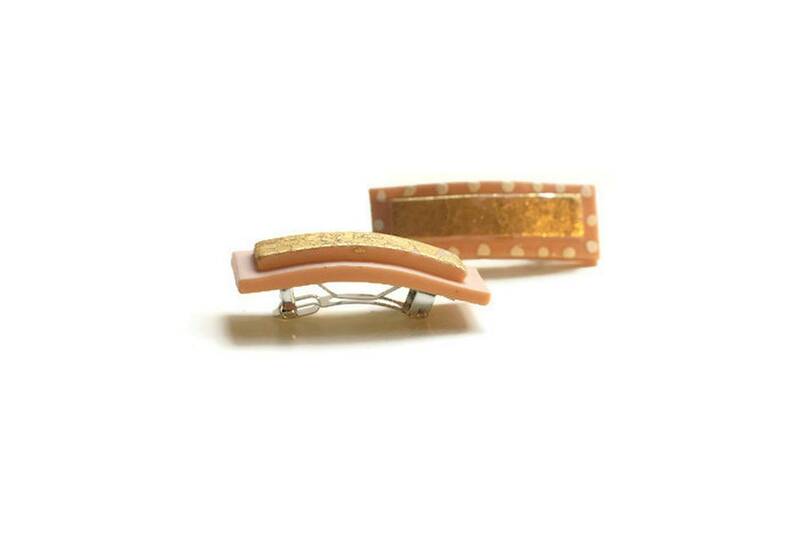 Blush Hair Clips with Distressed Gold Leaf Bars, select tiny white dots around the border to add "Pop" to this clip, or simple with just the touch of soft gold over Blush. 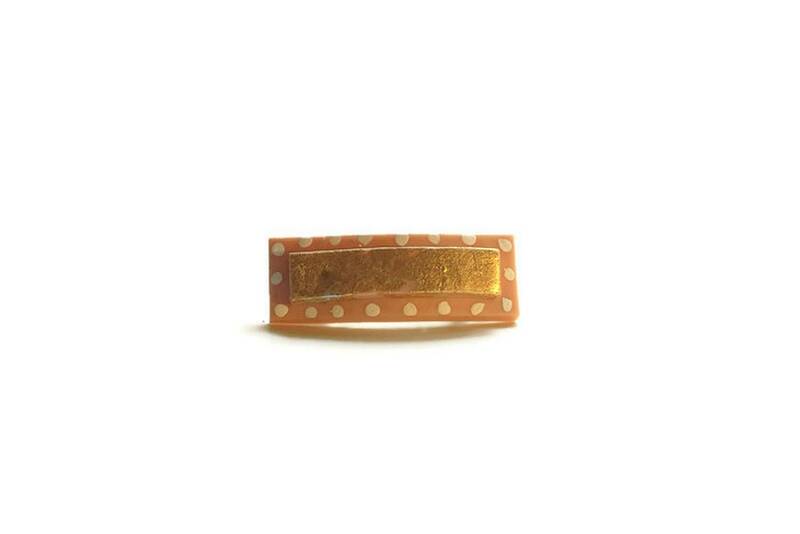 Perfect for Spring into Summer, Polka Dots are the next big Fashion Trend. 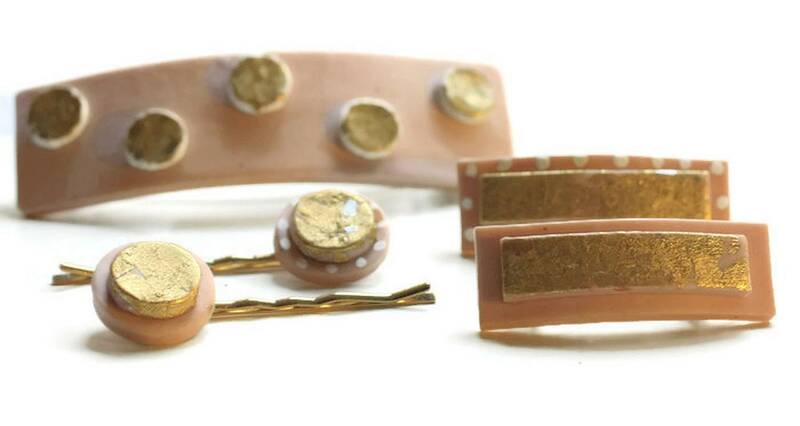 The neutral/beige/blush base looks great on any hair color and works as the perfect accessory to your updo. 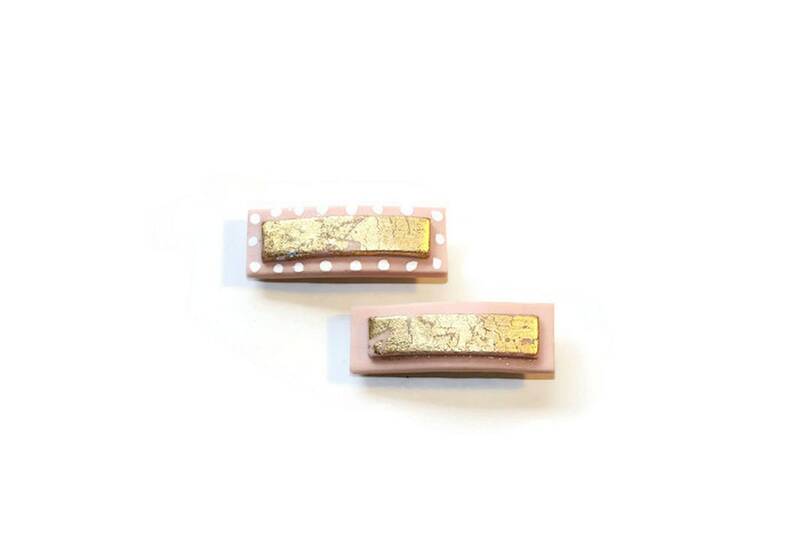 This is a for a pair of small clips that measure about 2" x 1/2"
All of my clips are made to order, because they are made by hand, no two clips will be identical.